Your rental with Dream Collection is provided by First Automobile Rental (FLA ) - " The Mesleret " - Saint-Georges des Groseilliers BP 105-61102 Flers Cedex ( France ) , except for the Jaguar F- TYPE roadster and Aston Martin DB9 Volante provided Hertz France and why Hertz rental conditions apply. The terms "Dream Collection", "Primerent", "us" or "we" refer to “Prime S.r.L. The terms “driver”, "you" and "customer" refer to the car hirer. The rental agreement signals any visible damage of the Vehicle , the number of kilometers traveled by the vehicle and the supplied fuel level from the rental. 1) Check that the apparent condition of the Vehicle corresponds to that described in the Rental Agreement . You agree to write a contradictory report the apparent condition of the Vehicle if you experience a problem not listed on the Rental Agreement . If you are unable to draw such a conclusion , build you a proof of the anomaly (eg dated photography) and contact earlier than the starting FLA Agency. Otherwise, FLA can not consider complaints about the apparent damage. 2) Compare the mileage and fuel level registered in the dashboard with the information given on the Rental Agreement . You agree to rectify the Rental Agreement by the FLA staff in case of anomaly. 3) Make sure that the copy of the registration card of the Vehicle , the Green Card insurance and accident report an accident are in the vehicle . 4) FLA offers in each vehicle , a safety kit (triangle + vest) . Verify that the high visibility vest is placed in the cockpit and a pre- warning triangle is placed in the trunk. In case of failure to return this kit to the return of the Vehicle , FLA charges you a fixed penalty of € 50.00 . You have legal custody of the Vehicle after its delivery. You agree to take care of it and make it a normal and prudent use in " good father ". 8) the deliberate damage to the vehicle . In case of non -compliance with conditions of leasing, the additional insurance and additional cover (" franchise repurchases possibly subscribed are inapplicable. 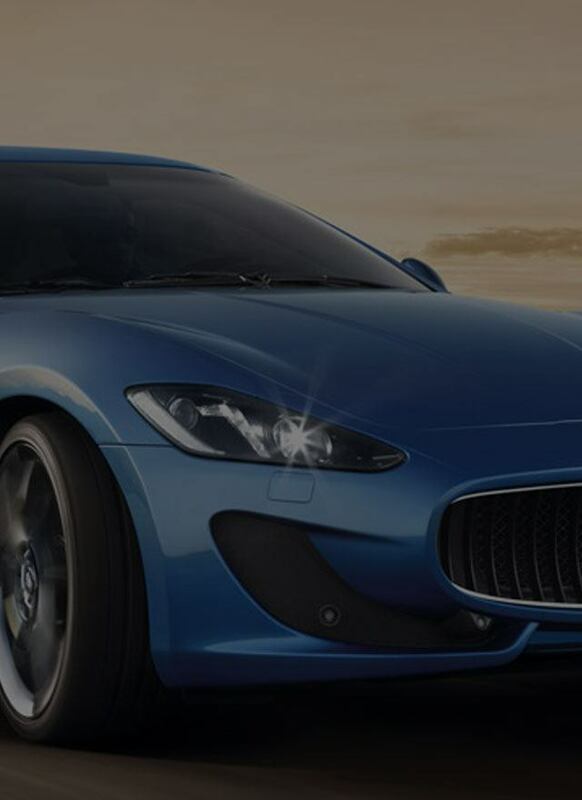 In this case, you are responsible for all the damages that are attributable to you ( including those suffered by vehicles within the limits of augmented vehicle residual value of expenses and costs related to its capital ) . Any dispute between merchant born of Rental Agreement and which could not lead to an amicable agreement will , to the extent permitted by law , the jurisdiction of the Commercial Court of the place of the registered office of the company. The base price includes a day pass and / or mileage calculated according to the rates in force. 2) Under long-term lease, you have opportunity to receive a lease without insurance , provided we produce a certificate certifying your insurance vehicle coverage available to you at all risks, including financial losses . A leaf " Certificate of Insurance " will be to educate virgin by you and have it signed by your insurer. 3) Vehicle technical assistance 24h / 24h (breakdown or towing the vehicle in case of immobilisation due to breakdown , accident or fire ) . 4) the loss or theft of the Vehicle and / or keys. The rental rate is calculated per 24 hours. FLA tolerate a delay of less than one hour for the return of the Vehicle. After this period, FLA charge you an additional rental day for every day of delay commenced , except in case you no longer have the vehicle for any reason beyond your doing . The number of kilometers traveled during the rental contract is that indicated by the Vehicle counter. If the computer malfunctions attributable to fraudulent activities and if the rental rate includes limited mileage , FLA bill 500 km per day rental rate. 2) if a thorough cleaning of the Vehicle must be done, FLA will charge all the damage that you have caused increased expenses and costs related to its capital . All drivers must be at least 23 years old and hold a driving license, valid and corresponding to the desired category Vehicle, for at least 5 years. A driving license issued by a Member State of the European Economic Area (Member States of the European Union, and Iceland, Liechtenstein and Norway) is valid in France . Holders of a license issued by a State outside the European Economic Area must present another form of ID ( passport ) . An international driving license must be accompanied by a national license. The possession of a permit "white" or restricted validity , or a declaration of loss or theft of a driving license does not allow you to rent a vehicle . The driver must present to the starting FLA agency ID (identity card or passport) , the original driver's license , bank card or credit or debit card as collateral and a means payment accepted by FLA (see above) . Any additional driver must present to the starting FLA agency ID (identity card or passport) , and the original of his license . For businesses, K-Bis extract of less than three months is required. At the start of the rental, you must submit to FLA bank or credit card or debit . The map must be the main driver. For short-term rental ( less than one month) , you pay the full amount of the rent from the vehicle. By your credit card is not charged taking a deposit guaranteeing payment of the franchise by your bank in case of disaster . You can pay your rent by credit card, credit card ( Carte Bleue , Euro -Mastercard, American Express or Diners ) . The bank card or credit or debit card used to adjust the rent must be that of the main driver and match the credit card or credit or debit made ​​from renting. You can pay your rent by check or cash ( in compliance with current legislation ) . In all cases , you must present to FLA bank or credit card or debit qu'FLA can verify that your account is replenished . FLA does not accept checks. Whatever the method of payment , we reserve the right to make all necessary checks and to consent or not to rent if legitimate reason. For the average lease duration (between one month and three months) and long-term rentals (in excess of three months with precise term ) , you pay the first month in the decision of the vehicle and signing the rental contract. That same day, a withdrawal request will be filled in by you for future rents. The following months will be billed at month payable upon receipt of invoice (invoices accruing ) . By your credit card is not charged taking a deposit guaranteeing payment of the franchise by your bank in case of disaster . This operation will be repeated as many times as there are months of hire. Any default in payment will result in immediate termination of lease agreements or ongoing by sending a letter of cancellation by recorded delivery to the address of the tenant ( first presentation of mail by the postal service as proof) and immediate return of vehicles by the tenant to the agency of departure ; if recovery by our agency of departure with invoicing of costs related to mileage rate. This cancellation will take effect without prior notice or compensation. In case of payment of sums due after receipt of the termination letter, the only company reserves the right to maintain its decision. Any breach of contract during the month regardless of the reason for failure ( cessation of activity, bankruptcy , liquidation ...) will result in the complete billing months and return of the vehicle on the abduction site with the full made fuel . The name of the tenant listed on the Rental Agreement is the main driver, who must be present at the signing of the Rental Agreement and to whom the costs are charged to rent . Unless legitimate and unforeseeable reason, only (s) (s) driver (s) indicated (s ) on the Rental Agreement is / are authorized (s) to drive the Vehicle . You can add additional drivers without extra provided they meet the age requirements and permits valid for the rental vehicle subject to a maximum of two people. You must return the vehicle , its keys and papers, FLA staff the time and date agreed in the rental agreement , and in any case during the opening hours of the FLA agency. You must inform FLA , in the shortest period of any event preventing you return the vehicle to the agreed date and time , otherwise constitute a misuse liable to prosecution. If you want to extend the rental period , you should by all means contact your FLA agency , set the lease to the closure of the rental agreement and sign a new rental agreement in the relevant contract terms and payment duration of the lease. A notice period of 24 hours before the end of the lease is required by FLA . If unable to get to our agency and after telephone agreement to extend your contract by any FLA employee , you will have a confirmation email stating the new maturity of the contract. In all cases , you are liable for the amount of the rent and any costs related to damage to the vehicle until the return of the vehicle FLA normal wear and tear or for any other cause beyond the fact of the lessor. If you return the vehicle outside the opening hours of the agency and / or drop keys Vehicle in the mailbox of the FLA agency back outside the opening hours of the agency, you retain responsibility and are liable for the amount of rent and damages that are attributable to you ( including those suffered by the Vehicle ) to the reopening of the agency. FLA can in no way be held responsible for the property are forgotten in the Vehicle at the end of the Rental Agreement . 1) If the apparent condition of the Vehicle return differs from that initially FLA invoice you noted damage (body shocks, missing accessories , ...) estimated from the scale available in agencies within the limits of the maximum financial liability applicable (depending on the protection supplements possibly subscribed ) . 2) If you choose not to perform this contradictory FLA control with the return of the Vehicle, FLA you entrust the task to realize the one and accept the findings thus made , and billing corresponding damage if any. 3) In any case , for damage (s) caused (s) to the Vehicle , FLA charge you a lump sum ( € 35.00 ) for the administrative processing cost to FLA .
Of all vehicle leases all categories, is not included the glass breakage insurance. Protection supplements for accidents or vehicle theft on the rental agreement showing the amount of the deductible for the rented vehicle . If you purchase additional protections , these will apply only for the duration indicated on the Rental Agreement and subject to compliance with the conditions of hire. By subscribing to FLA additional cover , you reduce the amount of the maximum financial liability ( franchise) applicable in case of damage (s) caused (s) to the Vehicle or in case of vehicle theft. Failing to take these protections supplements , you are responsible for damages that are attributable to you within the limit of the franchise without further subscribed. A supplement may be subscribed and will take the form of an additional daily allowance to reduce the deductible (partial buyback deductible). This damage waiver is jointly subscribed for accidents and theft. The invoicing scale of damage to the vehicle is determined based on the average cost of parts and labor needed to repair . FLA continues to cover the expenses taken care of and immobilization of the Vehicle. In case of damage to the Vehicle during its driven by a driver not indicated on the Rental Agreement , additional insurance and additional cover (" franchise Redemptions" ) eventually entered are inapplicable , and you must indemnify FLA 's all the damages that are attributable to you ( including those suffered by the Vehicle within the limits of augmented vehicle market value of expenses and costs related to its asset as parking , repatriation costs, the operating loss related to the non rental). In case of breakdown or accident of the vehicle requiring immediate or urgent repairs : before any repair (including in the case of tires) , contact your FLA agency to inform them of the problem and contact the AXA Assistance by telephone at +33 (0 ) 1.55.92.22.22 or Fax +33 ( 0) 1.55.92.40.50 by specifying the font n ° 57 July 11 66 04. A file number will be provided to support an application fee . In case of accident or damage suffered by the vehicle with identified third party that does not require immediate repair : you must inform FLA within 48 hours from the time you become aware of , and deliver to the return FLA agency within 5 working days from the moment you become aware , a completed accident report signed by you and the third party. The delivery of a completed and signed accident report an accident or damage with identified third party , and you are responsible or not is mandatory . In any case , for damage caused to the Vehicle, FLA charge you a flat rate ( 35 €) for administrative processing cost to FLA . In case of theft of the Vehicle : you must , within 48 hours from the time you become aware of , make a theft report with the relevant authorities and submit to the Agency the FLA minutes of filing a complaint , the vehicle papers , keys and all vehicle antitheft system . In case of theft of keys and / or papers with the Vehicle , be sure to report it to the competent authorities by making it appear on the complaint . Otherwise, and except in cases of force majeure preventing the surrender of the minutes of filing a complaint and the keys and papers of the Vehicle within this period, FLA will charge all the damages that are attributable to increased costs and you costs it stopped . Under Article L 121-2 of the Highway Code , as a tenant of the Vehicle , you are financially responsible for any infringements on the parking of vehicles and the payment of tolls and must set yourself in the time required, the fines imposed in that capacity in the rental environment. Otherwise, FLA communicate your details to the Police Court, which sends you a notice of increased penalty. Under Article L 121-3 of the Highway Code , if, during the lease, you do not respect the speed limits , safe distances between vehicles , the rules related to the use of reserved lanes and roads certain vehicles or signs, FLA communicate your details to the Police Court, which sends you the notice of contravention . In all cases , FLA bill you for any offense related to speeding , a lump sum ( € 12.00 VAT) for administrative processing cost to FLA to communicate your details and send you notice of increased fine or a ticket. Any reception Parking minutes in the same way will be subject to invoicing of administrative costs of processing at a rate of € 5.00 plus VAT per infringement. The rental fee listed on your rental agreement FLA package includes a mileage of 300 km per day . FLA provides a Vehicle with full carburant.Nnous invite you to return the vehicle with full fuel . Otherwise, FLA charge you the missing fuel price per liter in effect at the return of the Vehicle FLA multiplied by the number of liters added to the vehicle that has just been restored . The liter price indicated in the FLA agencies on " poster fuel ." This additional billing will be challenged because you were given the opportunity to make full restitution before . The vehicles rented in France can cross borders . Northern Ireland , Italy , Luxembourg, Norway , Netherlands , Portugal , Sweden and Switzerland ( excluding commercial vehicles) . FLA holds a personal data file obtained when signing the Rental Agreement . They are the subject of a treatment allowing FLA manage your rental and operations relating thereto (invoicing ... ) and to send you marketing information . They are intended , in whole or part, to the FLA Group companies and their partners. FLA installed in some of its vehicles a system to locate them in real time to facilitate the management of flight and loss of vehicles . By signing the rental agreement , you authorize FLA collecting through the onboard system and use geolocation for the purposes described above data for determining the geographic position of the Vehicle. Only services that have FLA in their function , need to have knowledge for the purposes of treatment, have access to the data collected and any person having a right of access under the law. These data will be kept for the duration of the rental contract and, where appropriate to the needs of an investigation. 4) 61100 St Georges des Groseilliers . By signing the rental agreement , you authorize FLA to use and transfer your data to Leverrier Group companies for managing your account. It is specified that uses a FLA file "Managing people at risk " that allows FLA Group companies to refuse to rent to these people. Furthermore, in its capacity as adherent to the Branch of the National Council Owners of Automobile Professions (CNPA ) some data, in connection with the Rental Agreement can be transmitted to their mutual benefit of member companies this branch allowing them to legitimately refuse any future rental. Under the CNIL deliberation n ° 2006-235 of 9 November 2006 , you will be informed beforehand if you're concerned and then have a right of objection to the registration , access , correction and / or deletion of your personal data from Branch renters CNPA (50, rue Rouget de Lisle - 92158 Suresnes Cedex ) . For specific questions , FLA is at your service at +33 (0) 2 33 64 13 33 in office schedule. Your Dream Collection rental is provided by Prime S.r.L., via Flaminia Vecchia 514, 00100 Rome (Italy). Prime S.r.L. trades under the name “Dream Collection” using these RentalTerms & Conditions in Italy. The terms "Dream Collection", “Primerent”, "us" or "we" refer to “Prime S.r.L.. The terms “driver”, “you” and “customer” refer to the car hirer. All rental prices and charges shown include VAT. Delivery, collection and daily fee are not included in your quotation unless stated otherwise. Minimum rental period is 24 hours (Monday - Thursday). Drivers must be minimum 25. Drivers must hold a current valid driving license (for extra EU citizens an international driving permit (IDP) might be requested) and held it for at least two years. All hires are subject to the excess tariff shown. No excess waiver is offered. Dream Collection reserves the right to refuse hire without reason. Rates apply per day (24 hours). If the vehicle is returned more with more than a two hours delay, the price of an extra day rental will be charged. Minimum hire periods may apply to Weekends and Bank/Public holidays and to some locations. Payment is accepted only by credit card (prepaid cards are not accepted). One or two credit cards may be required according to the make/model of the rented car. A booking fee of 20% of the total hire cost will be taken if the rental is booked more than 30 days in advance. A booking fee of 50% of the total hire cost will be taken if the rental is booked more than 15 days in advance, but less than 30 days before the pick-up date. A booking fee of 100% of the total hire cost will be taken if the rental is booked less than 15 days in advance. The balance payment will be due 15 days prior to pick-up date. For all bookings made within the 15 days period the total hire fee will be required when booking. A non-debited deposit is taken on your credit or debit card to guarantee the payment of the deductible by your bank in case of an incident. A valid driving licence held for at least two years must be produced at the time of the rental. An International Driving Permit (IDP) is required when the driving licence is not written in Roman/Latin script. Endorsed licences may be accepted at the discretion of Dream Collection. Please check at the time of the booking. An additional proof of identity such as a passport and proof of address is required at the time of the rental. Two drivers are permitted for free. Drivers licence details for additional drivers must be provided at the time of booking and anyway prior to hire. 1) More than 30 days before the pick-up date: Charged 20% of booking amount. 2) From 30 to 3 days before the pick-up date : Charged 50% of booking amount. 3) From 2 days or less before the pick-up date: Charged 100% of booking amount. The customer is responsible for ensuring the vehicle is returned to the agreed location or meeting point unless prior collection has been arranged. If Dream Collection has agreed for the vehicle to be returned outside of office hours, the customer will remain responsible for the vehicle and its conditions until it is re-inspected by a member of our staff. If Dream Collection has agreed the vehicle may be returned to another location, it is the customer's responsibility to inform Dream Collection that the vehicle is ready for collection and to park the car safely and legally until the vehicle is collected. The driver will remain responsible for the vehicle and its conditions until it is re-inspected by a member of our staff. Dream Collection cars are available all over Italy, islands included. If the car needs to be delivered or collected, the customer may be requested to pay an extra fee at the time of booking. The fee amount is a standard one and does not vary according to driven kilometres. The rental quote includes a Comprehensive insurance cover although an excess does apply. The amount of excess depends on which car you have rented and is shown at the moment of booking. The excess ranges from 2.500,00 € to 60.000,00 €. Dream Collection and Prime S.r.L. reserve the right to refuse the application of any excess without reason. 1) You are in a physical condition so as to be reasonably considered capable of driving a performance car safely. 2) You haven’t been disqualified from driving within the last 5 years. 3) You haven’t been involved in more than one car accident in the past 5 years (if so, written authorisation must be given to Dream Collection). 4) You will not be engaged in any of the following: Couriering, Rallies, Trails, Track events, Private roadway, Racing, Speed testing. Drivers who do not qualifying under the above may be permitted to rent a Dream Collection car subject to additional terms and conditions to be agreed prior to the pick-up date. In this case, if the driver is accepted, they will be allowed to drive the vehicle only with the written consent of Dream Collection and that of our insurance company. Rates include comprehensive insurance cover for the authorised driver(s) only. The security excess will be deemed a total loss if the driver/hirer causes an accident whereby a claim is made against the Dream Collection policy. If the customer is involved in an accident, the security deposit will be frozen until it is confirmed that no insurance claim will arise against Dream Collection or the hirer (non- fault). If the car is damaged during the rental period, the customer agrees to pay for all damages and repair costs. The costs will be estimated by an approved repairer only. Any damages to the car including excessive tyres and clutch wear found upon return inspection will be deducted from the security deposit held by Dream Collection. In the event of damage you have caused, you agree to pay the daily tariff rate for each day that the vehicle is off the road for repair. All accidents must be reported within 24 hours and an accident report form completed. Failure to do this may result in the insurance becoming invalid. If the car is stolen or deemed missing during the rental, the security excess deposit will be deemed a total loss. All fines and penalty notices will be forwarded to the customer. An admin fee of 30,00 € will apply. The driver is responsible for any fines and court costs for parking, traffic or other offences (including any costs which arisen if the vehicle is clamped or towed). If the fines are not paid, a 30,00 € administration charge per offence will apply. If the vehicle is impounded, the customer will be liable at the advertised daily tariff rate until vehicle is released. There is a free daily kilometre allowance for each vehicle, varying from 150 km to 200 km per day depending to the rented car. Any additional kilometre travelled will be charged at the excess rate as shown in the tariff section. Any unused pre-paid kilometres are non-refundable. Fuel is not included in the rental price. The driver is responsible for ensuring the correct type of fuel is used. If the wrong fuel is used the driver is liable for all costs including recovery and repair. All vehicles leave our locations with a full tank of fuel. Provided the vehicle is returned with a full tank of fuel, no refuelling charge is payable. If the tank is not full when returning the car, we will refuel the vehicle on the driver’s behalf. In this case, the price - fixed to refuel is 3,25 €/litre including of VAT, plus 35,00 € of admin fee. Cars cannot be taken abroad without written authorisation or prior approval from us. Dream Collection can provide additional products (such as child and baby seats, ski racks and winter tyres/snow chains) for free on request. Fitting is the responsibility of the customer. Your Dream Collection rental is provided by City Group Inter-Rent plc - 447 Kenton Road – Harrow – Middlesex - HA3 0XY, except for the Aston Martin DB9, Bentley Flying Spur, Bentley Continental GT Coupe, Mercedes C 63 AMG, Nissan GT-R and Range Rover Vogue provided by Hertz UK – Hertz terms and conditions apply. All rental prices and charges shown include VAT unless stated otherwise. Minimum rental period is 48 hours with the maximum rental period being 90 days. Rental periods over 90 days, must be agreed with Dream Collection. Drivers must be minimum 30 years or over. Drivers must hold a current valid driving licence (for extra EU citizens an international driving permit (IDP) might be requested) and held it for at least five years. Please also follow instructions here for the new driving licence rules. Drivers must hold a current, valid UK driving licence and held for at least five years with a maximum of six points at time of rent. Any drink driving offense must be at least five years prior at time of rent. For international drivers, a valid international permit (IDP) needs to be presented in addition to a valid driving licence. 1) Present two credit cards, both being in the same name. 2) Provide both a valid landline and mobile number prior to vehicle pick up. 3) For customers unwilling to allow their credentials to be photocopied, Hertz reserves the right to refuse the rental. Payment is accepted only by credit card (prepaid cards are not accepted). Two credit cards are required. Two drivers are permitted, provided that the additional driver meets the above criteria, signs the rental agreement and produces the required documentation (driving licence and valid ID) and an additional charge will apply for the additional driver. Pre-paid rentals will not be refunded. For all other rentals, there a no cancellation fees. Vehicles are available for pick-up between the hours of 6.00am and 10.00pm. Vehicles must be returned to the same location as pick up unless authorised in advance by Dream Collection. If Dream Collection have agreed for the vehicle to be returned outside of office hours, the customer will remain responsible for the vehicle and its conditions until it is re-inspected by a member of our staff, and maybe subjected to additional charges. Dream Collection cars are available in the UK only in three Hertz locations: London Heathrow, London Bayswater - and London Gatwick Airport. The rental quote includes an insurance cover although an excess does apply. The amount of excess varies according to the rented car and is shown at the moment of booking. The excess ranges from £2,000 to £20,000. Hertz UK reserve the right to refuse the application of any excess without reason. 2) You have not been disqualified from driving within the last 5 years. 3) You have not been involved in more than one car accident in the past 5 years (if so, written authorisation must be given to Dream Collection). Rates include insurance cover for the authorised driver(s) only. The security excess will be deemed a total loss if the driver causes an accident whereby a claim is made against the - Hertz UK and Dream Collection policy. If the driver is involved in an accident, the security deposit will be frozen until it is confirmed that no insurance claim will arise against Dream Collection or the hirer (non-fault). Any damages to the car including excessive tyres and clutch wear found upon return inspection will be deducted from the security deposit held by Hertz UK. All accidents must be reported within 24 hours and an accident report form completed. Failure to do this may result in the insurance cover becoming invalid. All fines and penalty notices will be forwarded to the customer. All rental prices include 100 free miles per day and thereafter mileage charges apply. Additional miles are charged at £3 per mile, excluding VAT. Any additional mile travelled will be charged at the excess rate as shown in the tariff section. Any unused pre-paid miles are non-refundable. If the tank is not full when returning the car, we will refuel the vehicle on the driver’s behalf. In this case, there is a fixed price per litre to pay plus a fixed admin fee. Vehicles cannot be taken out of mainland UK and vehicles need to be returned to the same location as pick up. 1) Store all documents immediately after rental in a secure, locked location (only accessible by Hertz management). 2) Documents are to be stored for 90 days after the vehicle has been returned and the rental has closed. After this 90 day period, documents will then be securely destroyed. 3) Driver’s identification will be shredded when the vehicle is returned. Your data will only be transmitted to Elite Rent-A-Car. The data protection conditions of Elite Rent-A-Car apply. Hertz or Herold Fahrzeugvermietung AG does not have access to the data you provide on this website. Hertz declines all liability for events occurring during the rental period. For persons residing in Switzerland, Elite Rent-A-Car is free to assert their own provisions. These are noted in the T&Cs of Elite Rent-A-Car. For persons residing outside Switzerland, the legal bases of the EU apply when travelling to EU countries. Vos données ne seront transmises qu'à Elite Rent-A-Car. Les règles de protection des données d'Elite Rent-A-Car s'appliquent. Hertz ou Herold Fahrzeugvermietung AG n'ont pas accès aux données que vous transmettez sur ce site. Hertz décline toute responsabilité pour les événements survenant pendant la période de location. Pour les personnes résidant en Suisse, Elite Rent-A-Car est libres de faire valoir leurs propres dispositions. Celles-ci sont mentionnées dans les conditions générales de Elite Rent-A-Car. Pour les personnes résidant hors de Suisse, les bases légales de l'UE s'appliquent aux voyages dans les pays de l'UE. Ihre Daten werden ausschliesslich an Elite Rent-A-Car übermittelt. Es gelten die Datenschutzbestimmungen von Elite Rent-A-Car. Hertz bzw. die Herold Fahrzeugvermietung AG haben keinen Zugriff auf die von Ihnen dieser Webseite angegebenen Daten. Hertz lehnt jede Haftung für Ereignisse im Rahmen der Anmietung ab. Für Personen mit Wohnsitz in der Schweiz steht es Elite Rent-A-Car frei, eigene Bestimmungen geltend zu machen. Diese sind in den Allgemeinen Geschäftsbedingungen von Elite Rent-A-Car vermerkt. Für Personen mit Wohnsitz ausserhalb der Schweiz gelten bei einer Fahrt in Länder EU deren rechtliche Grundlagen.